The School is closed for Summer Vacations from 12th May’14 to 30th June’14. We will be back with more news and views when the school reopens on 7th July’14. Bali has experienced highest temperature 41 degree Celsius and minimum has been 30 degree Celsius this week. But temperatures came down tremendously on Sunday due to dust storms followed by heavy showers, humidity rose to 44%. 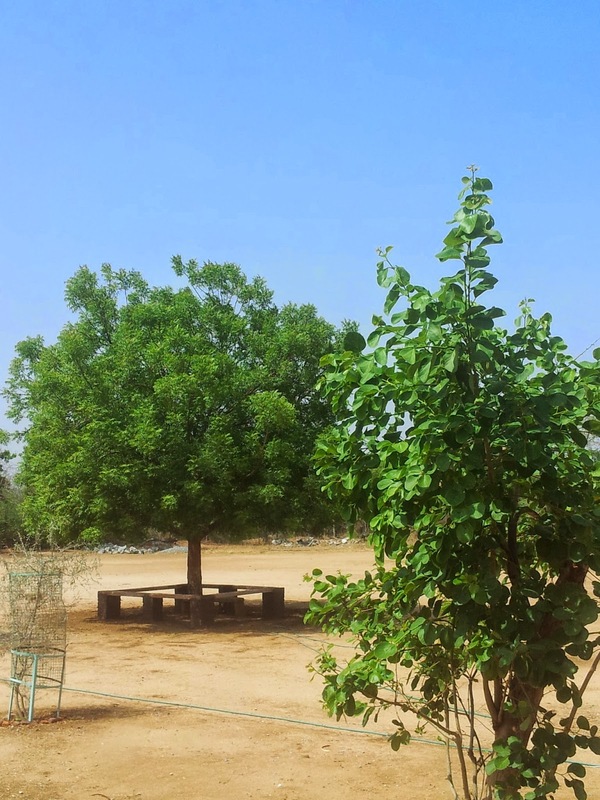 New benches are being constructed under the trees to help students sit during break time and eat their food. But it seems students find it more useful to play around the benches, like going under it and coming outside from the other side. . Assembly format has been changed to the following. Parents to note please. • Mondays: Prayer by Principal Ma’am. • Teacher on duty shall speak on something that she/he believes in. 6th May 14: To help educate, stimulate, research knowledge and information, entertain, develop creativity, render services to society, provide avenues for learning; help spiritually and morally build character strengths and most importantly be able to take independent decisions, for the first-time in the history of The Fabindia School, clubs have been formed . Inception for A.V. Club, Photography Club, English Literary Society and Hindi Literary Society took place this week. Photography Club had the maximum takers-100 students became members of this Club. A. V. Club had 30. Whereas English Literary Society and Hindi Literary Society will wait for more members to join it; more such clubs and societies will be formed in the coming year to help students find choices of their interest. 7th May 14: The School witnessed a closely contested Inter House Volleyball Competition on Saturday. The campus echoed with slogans to encourage their house teams. It was wonderful to see the teams were a mix of girls and boys! 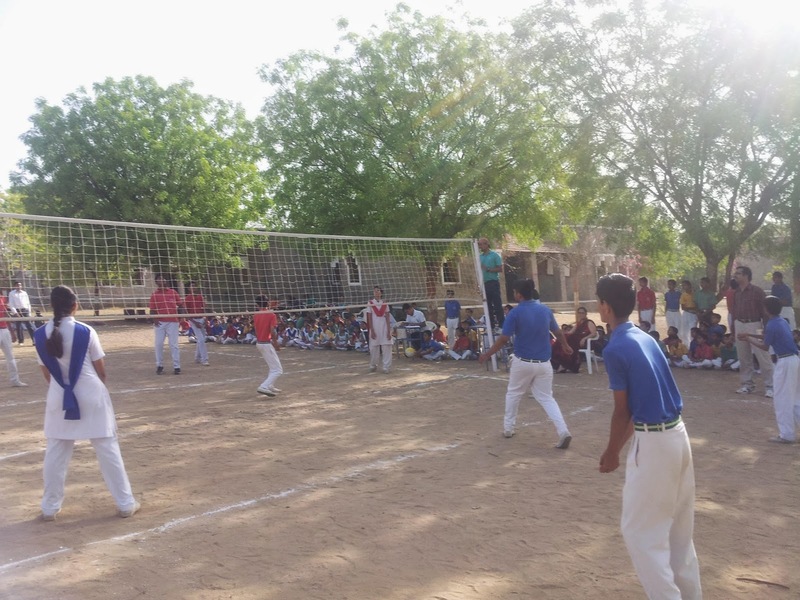 10th May 14: The School witnessed a closely contested Inter House Volleyball Competition on Saturday. The campus echoed with slogans to encourage their house teams. It was wonderful to see the teams were a mix of girls and boys! Class Picnics were organized for all classes on the last day. It was fun to watch all students peep in each other’s lunch boxes! Students sat together with their Class Teacher .They played games and had their lunch. The students enjoyed a lot. On the occasion of Mother’s Day children even made beautiful cards for their mothers to surprise them when they returned home. Classes VI to VIII have been given Summer English Reading Project. They will do a project on their return. Staff training will start from 12th May on computer skills; they will be trained on Fedena as well as English conversational classes. Every day teachers will sit with their HODs who plan class activities according to their lessons along with Power point and online tests. HODs will also streamline their correction patterns with their colleagues. Class XII will attend Summer Study Camp from 12th May to 6th June in order to complete their courses in time. This will help them to kick start their revision early and practice for Higher Order Thinking skill questions based question for boards. सवाल : आपका नाम क्या है? सवाल : आपने कौन से साल से स्कूल आना शुरू किया? सवाल : आपकी पहली तनख्वा कितनी थीं? सवाल : आप स्कूल मे क्या काम करते थे? सवाल : उस समय क्या स्कूल मे आने वाले लोगों की एंट्री ली जाती थी? सवाल : क्या आप स्कूल खत्म होने के बाद भी रूकते थे? सवाल : क्या आपकी स्कूल की यूनिफार्म थीं? सवाल : क्या आपको किसी त्यौहार पर बोनस मिलता था? जवाब : नही, मुझे किसी भी त्यौहार पर बोनस नही मिलता था? सवाल : उस स्कूल में ट्रांसपोर्ट फैसिलिटीज कैसी थी? सवाल : हमारे स्कूल मे पीने के पानी की क्या सुविधा थी? सवाल : क्या आपकी सैलरी हर साल बढ़ती थी? सवाल : अब आपकी सैलरी कितनी है? सवाल : आप के लिए स्कूल मे काम ज्यादा मायने रखता है या पैसे? सवाल : क्या आप को स्कूल मे आने के बाद अपने आप मे कोई बदलाव नजऱ आया है? सवाल : क्या आपके साथ कभी आपके रिश्तेदार ने स्कूल मे काम किया है? सवाल : क्या आप स्कूल के बाद over time करते थे? सवाल : आपको स्कूल में किस प्रकार वातावरण खुश करता है? जवाब : आपको क्या बताऊ मै ही स्कूल का वातावरण बनाता हु। हा.हा.हा.! सवाल : अब आप स्कूल से क्या चाहते हो कि स्कूल आपके लिए करे? A: My name is Jeevaram dewasi. Q: In which year did you join this school? A: I joined the school in 2003. Q: What was your starting salary? A: My starting salary was RS.2500. Q: What was your work in the school? A: I worked here as a watchman and gardener. Q: What was your working time? A: It was from 5 P.M. to 8 A.M.
Q: How many teachers were in the school at that time? 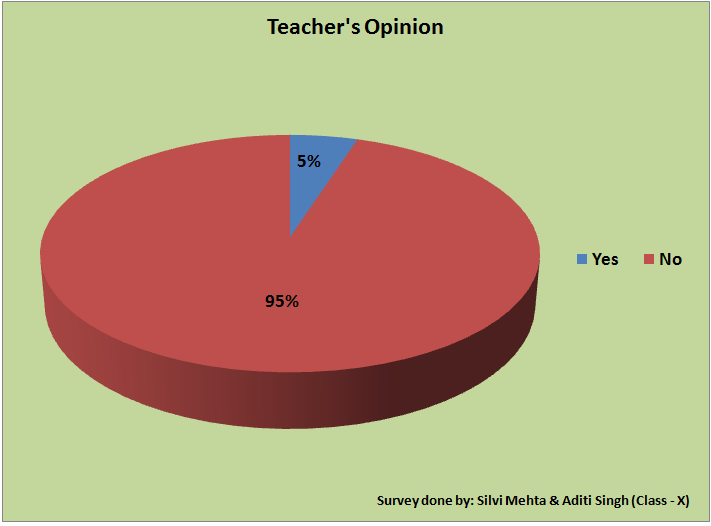 A: There were 20 teachers at that time. Q: What was the transportation facilities at that time? A: There were 3 buses which picked the children from their villages. Q: What were the drinking facilities for the students? A: In every block pots were put to drink water. Q: What’s yours salary nowadays ? A: Now my salary is 7000. Q: Did you get any type of bonus during the festival time? A: No, I didn’t get any bonus during the festival time. Q: What is more important for you –work or money? A: Both are important for one’s life but I give more preference to work. Q: Have you seen any change in you after joining this school? A: Yes, I have learned few words in English. Q: What do you expect from the school? A: Nothing. My best wishes to the school family. Compiled by Bharti Rao for The Fabindia School. Thanks to Ms. Deepika Bhatt and our Principal Ms Deepika Tandon for their support.